A view form Mt Ainslie. From foreground to the back. The War Memorial is at the bottom of the mountain. The long straight road is ANZAC Avenue. Across Lake Burley Griffin is the National Portrait Gallery and Reconciliation Place. Further up the line is Old Parliament House. New Parliament house has the big mast on it and is actually underground. Covered in grass. The background is Red Hill and the Limestone Plains. You can see Tristan playing in the snow that lies in a hollow at the side of the path to the peak. This was late in January and the snow was still around on the south slopes of the mountains. 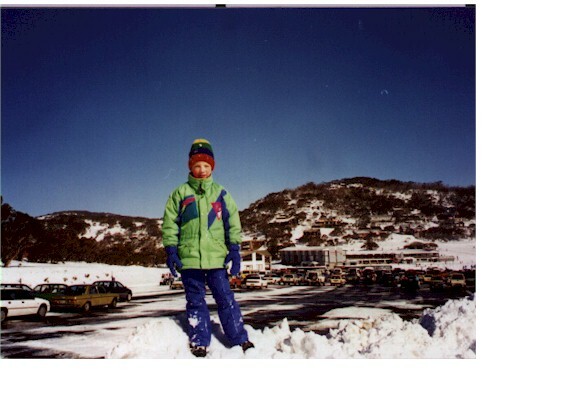 This is a winter picture of snow and skiing at Perisher.